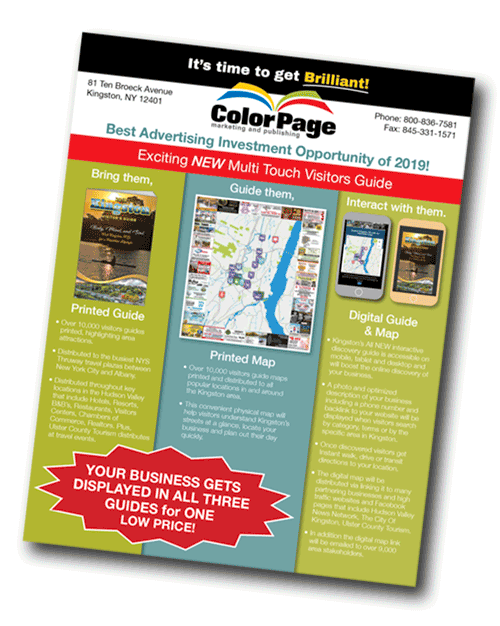 For the past several years, ColorPage has designed and printed The City of Kingston’s official Visitors Guide, an attractive full-color booklet with information about Kingston’s businesses, tourist attractions and historic sites. 2019 will be no exception, but this year we’ll be doing something a bit different. 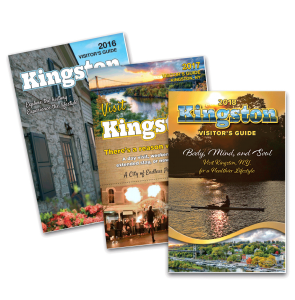 This year, In addition to the Kingston Visitors Guide Booklet, we will be creating a printed map of Kingston as well as KingstonVisitorsGuide.com, a website with an interactive map showing area business and attractions. If you own a business in Kingston, this package of powerful marketing tools will help tourists find you. Click The Image Below To View The Live Site! 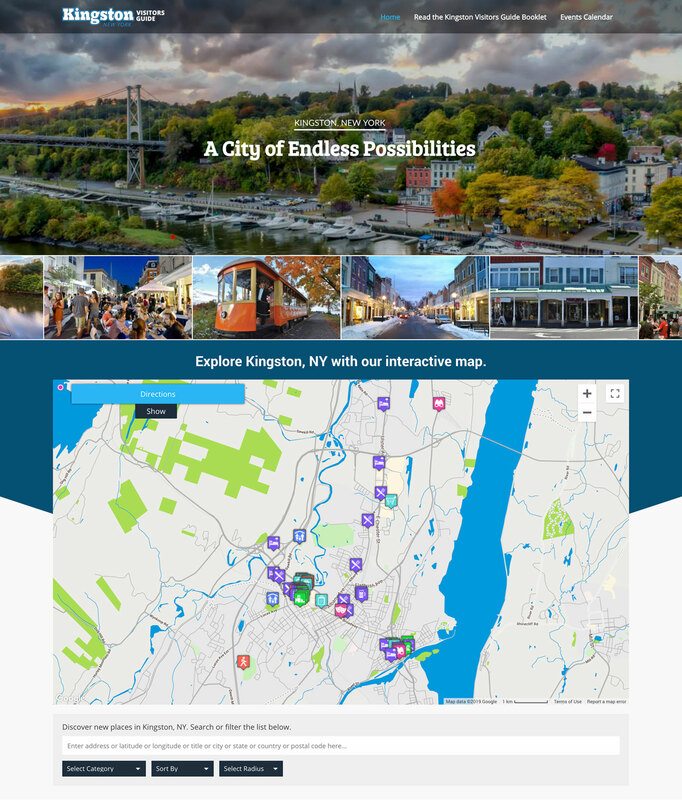 The Kingston Visitors Guide website will prominently feature an interactive map. Participating businesses will be displayed on the map with a photo, a brief description, and a link to their website. Tourists will be able to find all the information they need to plan their visit to Kingston including a calendar of upcoming events and directions to the places they want to visit. 10,000 copies of the booklet and 10,000 copies of the printed map will be distributed by the City of Kingston Tourism office. The 2019 Kingston Visitors Guide will be available at all major visitor locations in the City of Kingston and beyond. Drop points will include Restaurants, Diners, Pubs, Hotels, Resorts, Tourist Attractions, Gift Shops, Transportation Depots, Information Centers, Chamber of Commerce, NY State Thruway and more. Additionally, the Kingston Visitors Guide website will be available to any Kingston visitor, year-round. 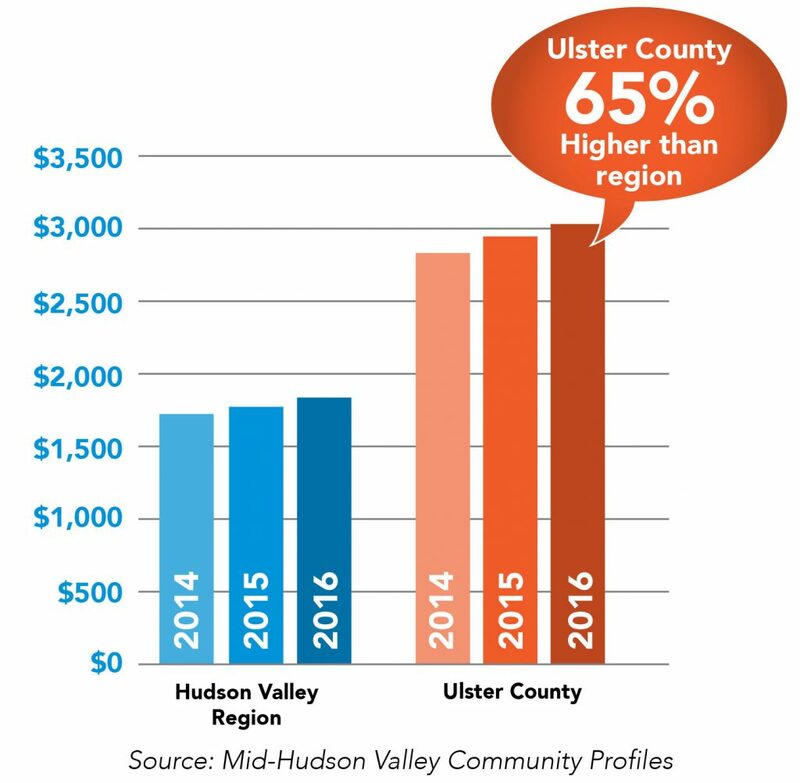 Tourism is a nearly $600 million industry in Ulster County, generating over $3,000 per county resident. Tourism in Ulster County is on the rise – 2017 marked the seventh consecutive year that tourist spending has increased. Thousands of tourists from the New York Metro region and beyond choose Kingston as their preferred vacation destination. These visitors are eager to support our local economy by purchasing from local businesses. Make your company visible in the Kingston Visitors Guide and don’t miss this revenue-generating opportunity! Other File Types Accepted: JPEG, TIFF or EPS. All images should be high-resolution (300 dpi) and CMYK. 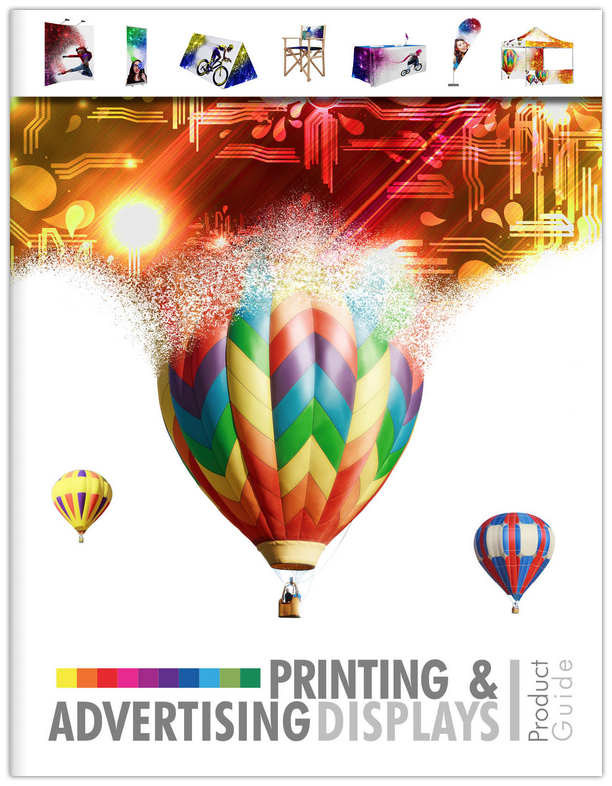 Convert all spot colors to 4 color process (CMYK). Note: Enlarging a 300 dpi image over 125% will lower the resolution to the point that image quality degradation may be noticeable when printed. An overview of this year’s Kingston Visitors Guide with a sign-up form and specifications.